A woman was shell shocked after a cooking tragedy was averted. 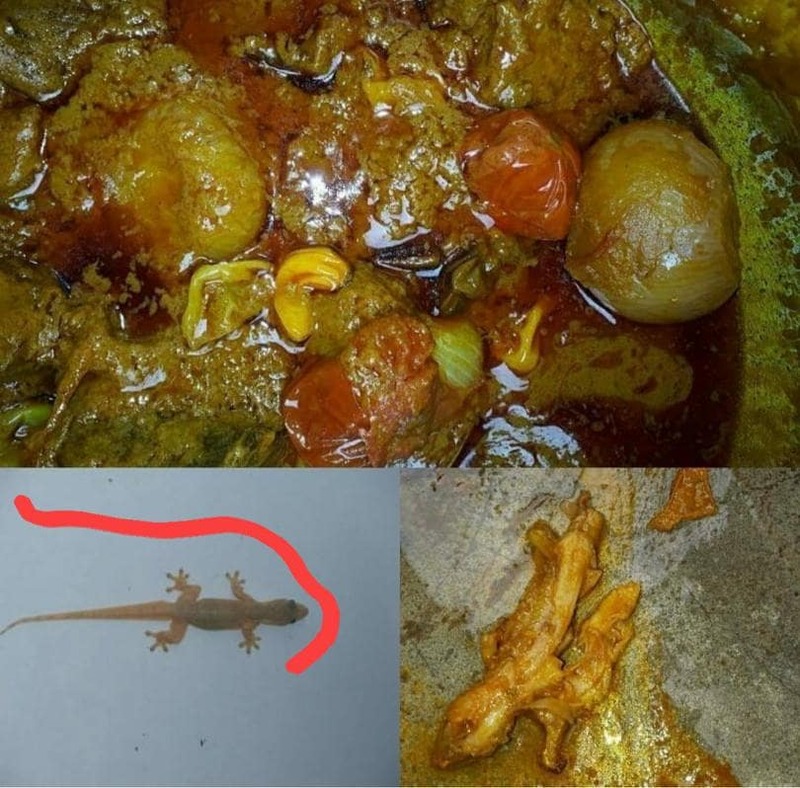 It was revealed that the woman found a lizard in her food while preparing the sumptuous meal for her family. No one knows what would have eventually happened to her and her family had they eaten the meal with the little reptile mixed in the pot of soup. The woman has now called for caution among other women to be careful when cooking to avert this kind of unpleasant situation.